Kevin Richardson, one of the exonerated Central Park 5, leads a Q & A session at Bronx Prep Charter High. Assistant Principal Cassius Gil and history teacher Marielle Colucci contributed to this post. When you’re living in the South Bronx, it can feel easy to hate. 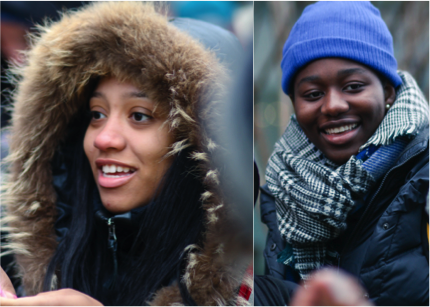 From both experiences and the cases studied in history classes, our Bronx Prep scholars are growing more aware of the injustices happening in their backyard, and want to do something about it. 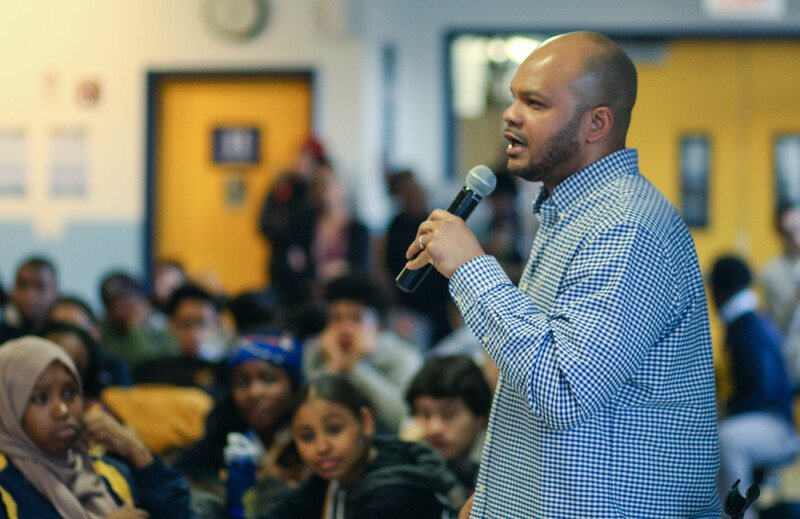 Kevin Richardson, one of the exonerated Central Park 5 members, was gracious in visiting our school to discuss his experiences the criminal justice system. We knew it was crucial for students to hear from luminaries alive to offer firsthand accounts of what it takes to uphold our nation’s fundamental values. Paraphrasing Mr. Richardson, we’d agree that the future is bright and unlimited, no matter the present circumstances. 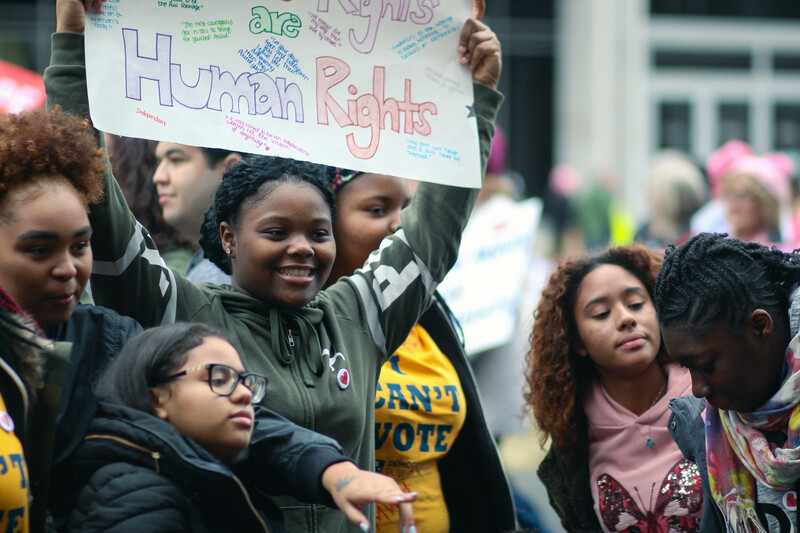 Our main goal for this event, and ones like it, is to ensure students know their rights and fully understand the world outside of our school walls. And also to shower guests like Mr. Richardson with DP swag – symbolizing the love we want them to share and ultimately receive in a changed world.